I got the following email from Linda Renslow and Ross Penhallogen of OSU so I wanted to pass this along to our south Valley growers. Lane County Waste Management (along with many partners) will be hosting an Agricultural Chemical Collection event March 7 & 13, 2012. Once again, there will be no charge to the farmers (or future liability) for those chemicals brought in for disposal. In the past we at CPS, thanks to Bob Spinney, have collected chemicals from many of our customers to be dropped off at events like this one as a service to our growers. This will not be the case with this event as stated above. So please keep the dates in mind so that you can utilize this opportunity to get rid of unwanted and old chemicals you may have on the farm. As always, get in touch with your CPS Fieldman on which chemical should be discarded. Last Wednesday our northern branches put together a CPS Hazelnut School that was a great success. There were many discussions throughout the meeting and if you have any questions regarding the school feel free to ask your CPS field man about the latest hazelnut info. A piece of hazelnut info: For Jefferson polinizers the recommended mix is as follows; 40% Felix, 20% Eta, 20% Theta. As for a Daviana polinizer replacement York looks to be a prime candidate. Thank You to all who came to the class and we hope you gained some knowledge or refreshed your knowledge on hazelnuts. Last summer I wrote an article about plans from LightSquared to roll out broadband LTE services that would interfere with the GPS signals much of our Ag equipment relies on. This article on GigaOM, In a Suspect Move, LightSquared Calls for GPS Standards, goes into some more detail on this potential problem. I'll reiterate what I said several months ago: it's important that our GPS signals remain solvent for guidance, mapping, and harvest operations, not to mention navigation systems, but the potential benefit from widespread 4G LTE services throughout rural America is staggering as well. There are devices in development, and in limited release, that will allow the transfer of application maps, field files, harvest files, etc, directly from the cab of the tractor through the controller and back to the office. This will require broadband speeds in the field, thus the conundrum. Stay tuned, I'll try to keep you updated as this progresses. Powerflex is an Dow AgroSciences herbicide used in winter wheat to control a wide array of grass species. 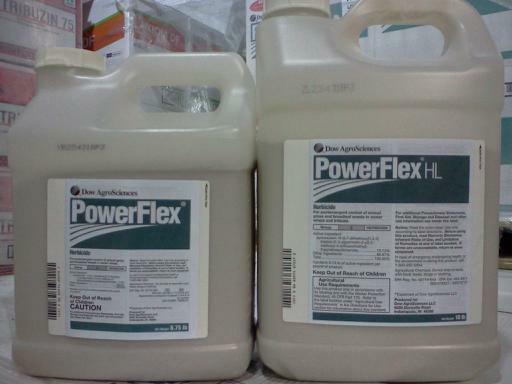 Dow has changed the formulation in Powerflex. They have changed the name of Powerflex, to Powerflex HL. I have included a picture, the new and old look very similiar. Defiently talk to your fieldman to make sure you are using the right rates. 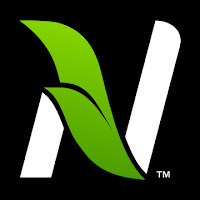 For more than 10 years Tangent has been using the Mineralizable Nitrogen test for winter wheat. 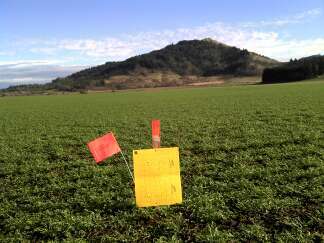 This test was developed by Oregon State University for use in Winter Wheat grown in the Willamette Valley. 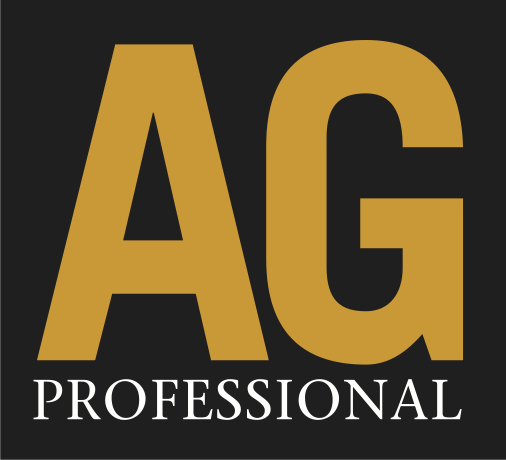 Over the last 1-2 weeks your CPS fieldman has pulled a soil sample in your wheat fields. With the high water we had here in the Valley some of the fields may have got finished up this week. Make sure to ask your fieldman about the results, and trends we are seeing. Here is the publication on Mineralizable Nitrogen in winter wheat fields for Western Oregon. This morning was our Filbert pruning/demonstration. 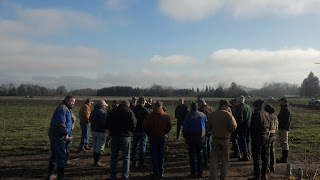 Lane County extension agent Ross Pennhallegon did a great job with explaining his concept of really opening up orchards in order to get as much sunlight into the orchard and to push the trees into new growth. 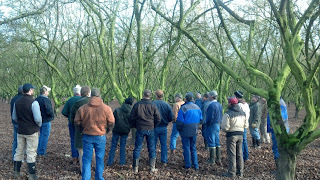 This light and new growth gives the trees a larger area to produce nuts and may be key to having a high yield orchard. Here is the group in Mid-Valley's Barcelona orchard discussing which limbs to remove. 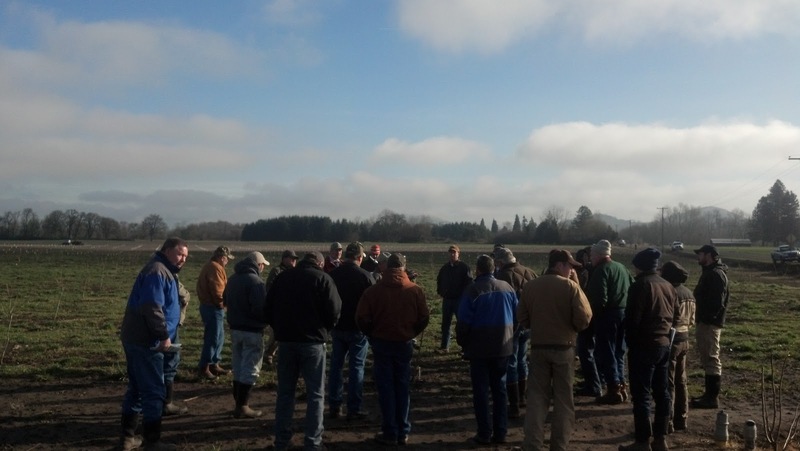 This is the group looking at Wirth farm's 3 year old Jefferson Filberts. 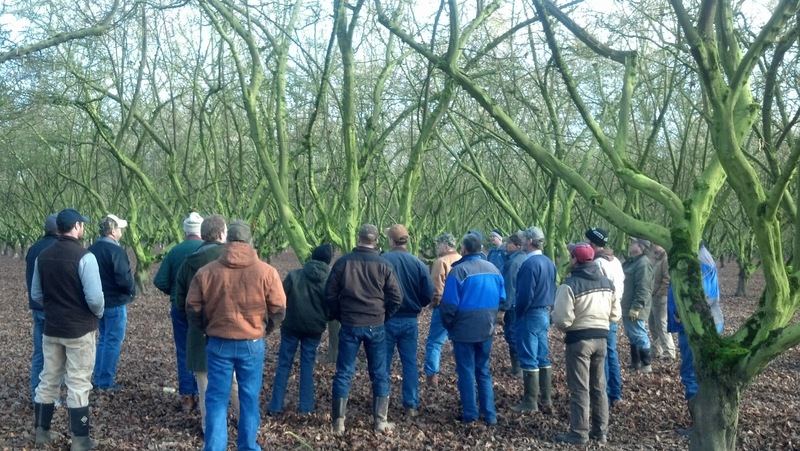 ﻿At Wirth farms Ross discussed proper pruning techniques for young orchards. He also talked about protecting the trucks with latex paint or protective sleeves and other various young orchard management techniques. Tangent CPS would like to thank Ross Pennhallegon, Mid-Valley Farms, and Wirth Farms for helping put this together and letting us walk through their orchards.